Creed is an American rock band formed in 1995 in Tallahassee, Florida. Its current members include Scott Stapp, Mark Tremonti, Scott Philips and Brian Marshall. 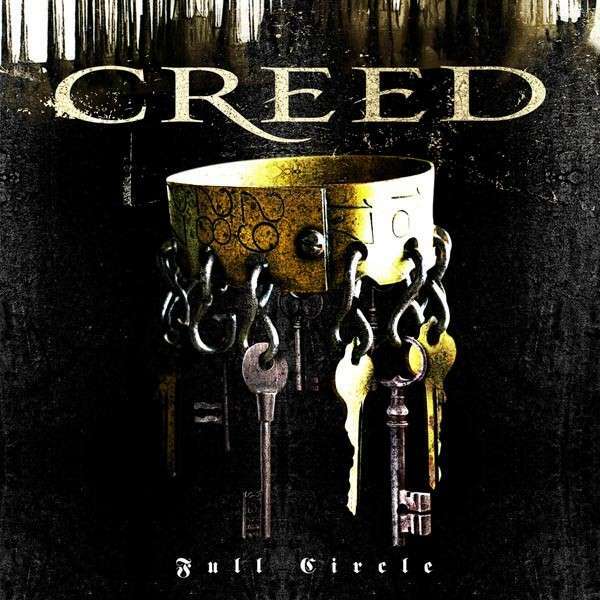 The Creed logotype, as seen on the cover artwork of their 2009 album Full Circle, was designed with a font very similar to Mason Serif Regular designed by Jonathan Barnbrook. The font is a commercial one and you can purchase and download it here. In addition to Creed, Mason typeface is also used in the following logos, movie posters or album covers etc., including: Dorian Gray, The Quantum Enigma, The Witcher, Bionic, Loyal to the Game, The Prince of Mist, The Golden Compass, To Sin with a Viking, Planescape: Torment, Wild Goose Chase.